MCW Scotland has a joinery manufacturing department operating from 5000sq/ft custom built premises in Ayr. The department is managed by Mr Allen Findlay, a Director of the company with over 30 years experience in bench hand joinery and cabinet making and a reputation in the trade for superior craftsmanship. Allen still works on the tools through choice and oversees all work before it leaves our premises ensuring total quality control. This division is largely self sufficient producing high quality joinery for varying clients. Furthermore this department produces all the joinery that the construction arm of the business requires. 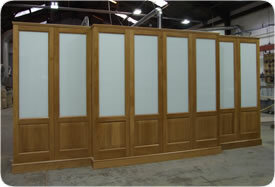 This division employs 4 bench joiners and cabinet makers and actively trains apprentices within the company. All are experienced in working to exacting architect plans where required. In addition MCW has a heated spray booth that enables the finishing of all products to be carried out in house if required. 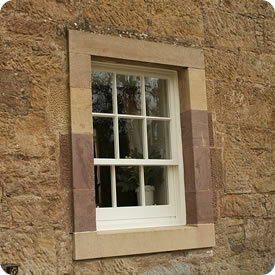 Sliding Case and Sash windows for either new build or restoration work. This is just a short list but we are able to manufacture any item to your requirements.